The Alabama Reading and Math Test, ARMT, and other AL high stakes standardized tests have become critical to Alabama students, teachers, and schools future since the implementation of the No Child Left Behind (NCLB) programs. Parent’s awareness of their students’ levels of achievement has increased. Time4Learning, an online service that teaches many of the skills that these exams test, provides this page as useful information about parents trying to understand how Alabama schools test their students and how you can help your children with ARMT test preparation. The ARMT is a criterion-referenced test. It consists of selected items from the Stanford Achievement Test (Stanford 10) that match the Alabama state content standards in reading and mathematics. Additional test items were developed to be included so that all content standards were fully covered. It is this combination of Stanford 10 items and newly developed items that is known as the ARMT. High school students take the Alabama High School Graduation Exam (AHSGE) in reading, language arts, math, science and social studies, beginning in tenth grade. Students must pass the AHSGE to graduate. Alabama also uses the Stanford 10, a national test, to measure how well students performed in comparison to their peers across the country. Students in third through eighth grades take the Stanford 10 in reading, math and language arts, while students in grades 5 and 7 took the Stanford 10 in science. Students in grade 6 took the test in social studies. A student must take Stanford 10 Word Study Skills (Grade 3 only), Stanford 10 Reading Vocabulary (Grades 3-8), Stanford 10 Reading Comprehension (Grades 3-8), and the ARMT Part 2 Reading subtest to get an ARMT reading score. A student must take Stanford 10 Mathematics Procedures (Grades 3-8), Mathematics Problem Solving (Grades 3-8), and the ARMT Part 2 Mathematics subtest to get an ARMT mathematics score. For further information you can visit the Alabama Dept of Education Student Assessment Program. For general tips on test preparation, please visit our standardized test overview page. The real preparation for the ARMT, and all standardized tests that assess a wide range of fundamental skills, is a long-term program of strong education. Many families make special efforts to help their students, which should start with being sure that students are doing their homework and are reading on a daily basis. In addition, many families involve tutors or use an online learning program such as Time4Learning. 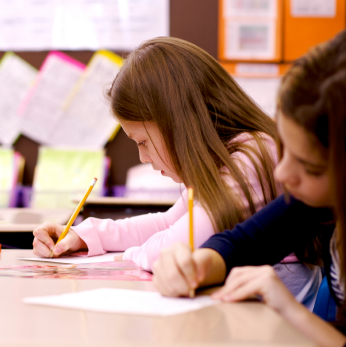 In addition to building fundamental skills, many families also use test prep programs or books to help their students become familiar with the format of the tests, to learn test-taking strategies (when to guess, when not to), to get used to the time restrictions, and to learn some strategies for questions. For instance, many test prep programs teach students when faced with a reading passage followed by comprehension questions, to scan the questions prior to reading the section so that you can pay special attention to the areas that are addressed by questions. Time4Learning is not a test prep program, it is a program that builds the skills that will be tested.